Save Type Settings for Customized "Style Sheets"
After saving these characteristics as part of a preset type style, you can create new text layers or selections with those same characteristics quickly and easily. 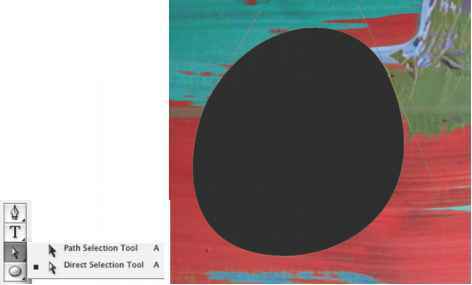 • Click the Create New Tool Preset button along the right edge of the picker, as shown in Figure 7-12. • Choose New Tool Preset from the picker menu, accessible by clicking the triangle in the upper-right corner of the picker. In either case, you are prompted to give the preset (style sheet) a name and click OK. After doing so, you'll notice the name is listed in the picker. TRY IT To access the style sheet at a later time, simply click the Tool Preset picker button in the Options bar again and select the name of the style sheet from the available list. Then create your new text, which will take on the characteristics of the previously saved style sheet. Figure 7-12 Use the Create New Tool Preset button to save type settings as a style sheet for futu re use.